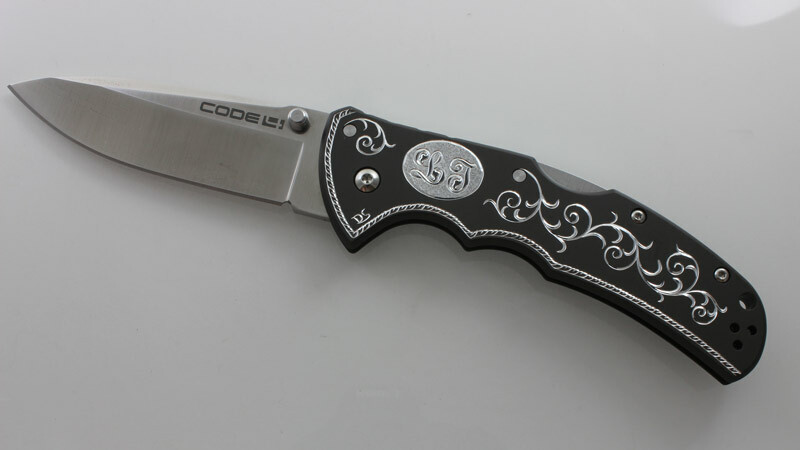 This hand engraved Cold Steel knife features sturdy, hard-anodized gun metal grey 6061 Aluminum handles, the unparalleled strength of the world renowned and exclusive Tri-Ad lock and high satin polished, razor sharp Japanese AUS8A blade. 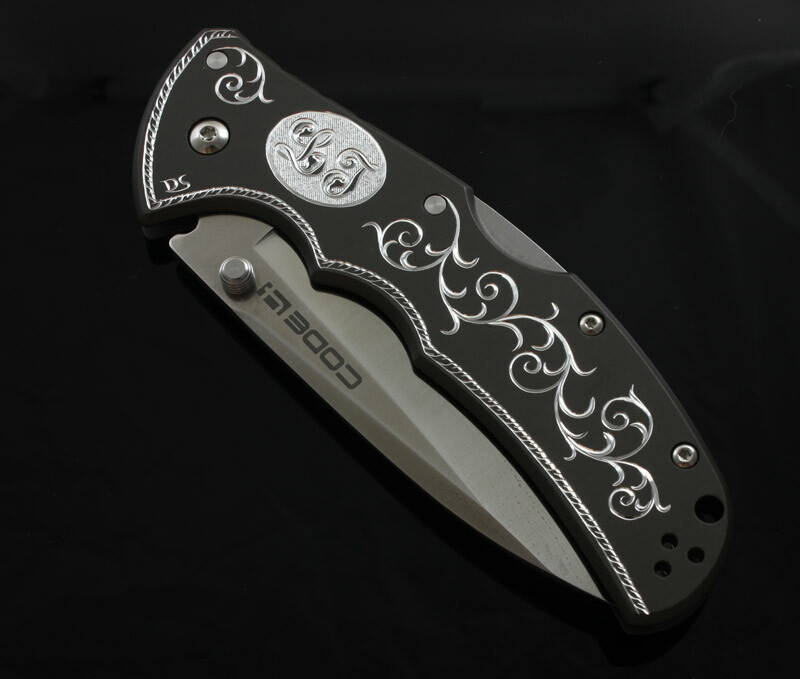 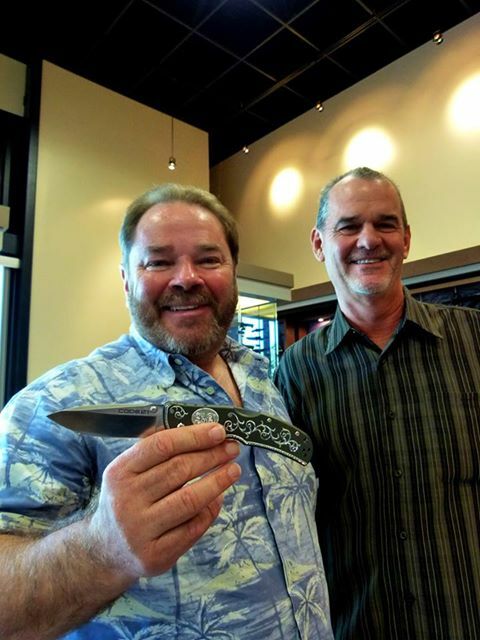 Engraving: This knife was hand engraved by David Sheehan as a gift for Lynn Thompson, President of Cold Steel Knives in Ventura, CA. 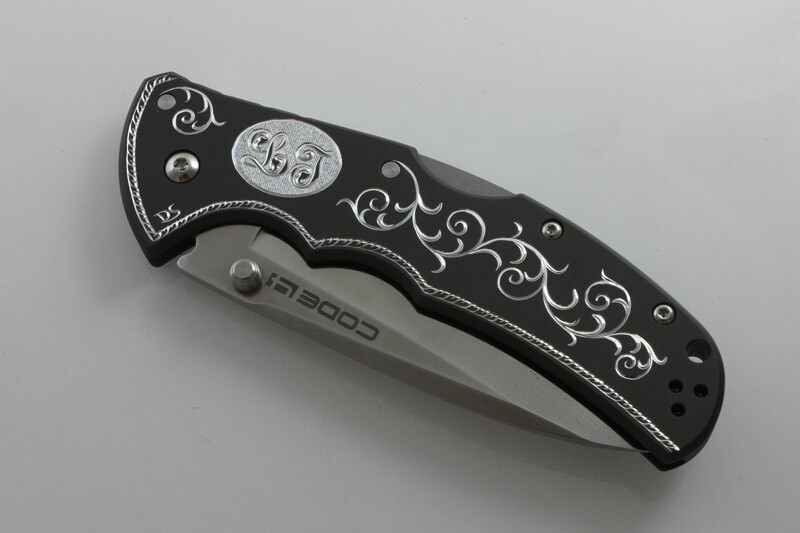 I was pleased that he liked it so much and I will be doing more engraving for Lynn and his company.